Maybe you have heard of it - the Dutch traditional holiday that is Sinterklaas on December 5th. The ingredients: excited children, thousands of pepernoten, an old dude in a cape and pointy hat (hint: this is Sinterklaas), exchanging gifts, surprises, songs and a lot of fun. Sinterklaas is a holiday honouring St Nicolas, the patron saint of all children. There are several legends that explain how St Nicolas came to be a patron saint of all children, like how he brought three boys back to life after they were killed by an innkeeper or how he helped three poor daughters get married by giving them gifts. But it's kind of like Christmas: after a while the backstory takes a backseat to the gifts and family fun. 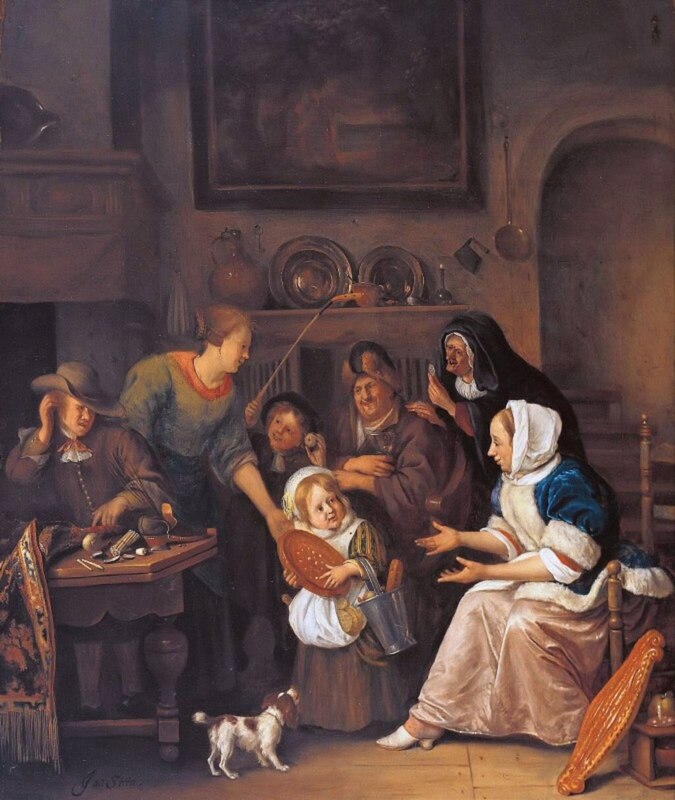 The feast of St Nicolas, as portrayed by Jan Havickz Steen in 1660. The Dutch have celebrated this holiday since the Middle Ages! Since then, the celebrations have changed a few times. Nowadays, there are three important traditions to keep in mind. Sinterklaas arrives in the Netherlands on the first Saturday after November 11th. He and his men arrive on a steamship and are welcomed by hundreds of thousands of children and their parents. They sing traditional songs, give drawings to Sinterklaas and bring sugar or carrots for his horse Amerigo. Zwarte Piet, the name of the men that help Sinterklaas with the presents, give out candy and sweets to the children while running around and acting crazy. After Sinterklaas has arrived in the Netherlands, children are allowed to put their shoe out. This will not make any sense to you, but bear with us here, we will explain. They put their shoe (one per child) in front of a fireplace, or if they do not have a fireplace, in front of the heating, the front door or a window that can open. In the shoe they put a present, like drawings, or something edible for Amerigo, the horse. The children sing a song, to let Sinterklaas and Zwarte Piet know they are welcome in the house. At night, Sinterklaas and Zwarte Piet visit all of the houses and leave a little present in the shoes of the children. The grand finale is on December 5th. Sinterklaas and Zwarte Piet will have delivered a bag of presents for the family. Sometimes the bag is left in front of the door while Zwarte Piet knocks on the door to let you know the presents are there. 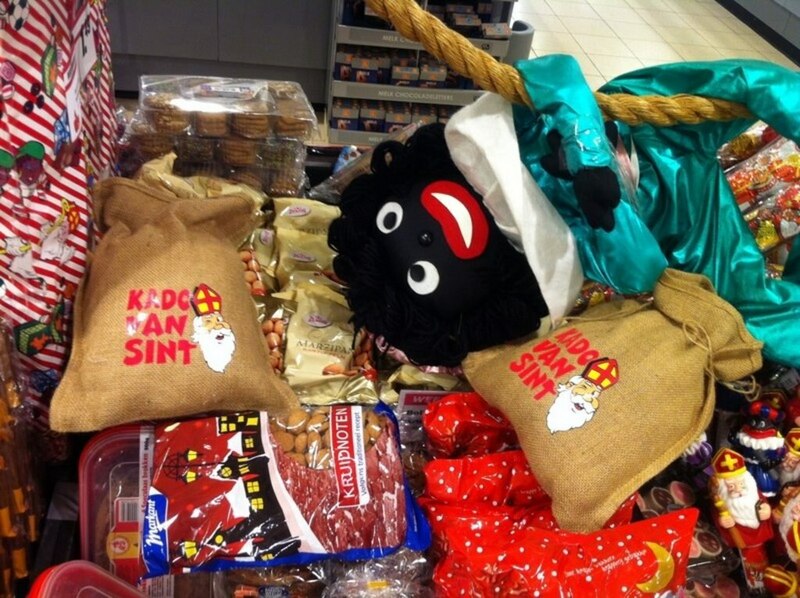 Sometimes, the bag is brought in at night by Sinterklaas and Zwarte Piet, while everyone is asleep. As children get older, this changes a little. Families might move on to a tradition called 'surprises'. The family might pull names from a hat and spend weeks searching for the perfect present, crafting a package for the present, called a 'surprise', and write a poem. Are you excited to join the Dutch during Sinterklaas celebrations? There are a ton of places in Amsterdam where you can experience a bit of the Sinterklaas atmosphere. 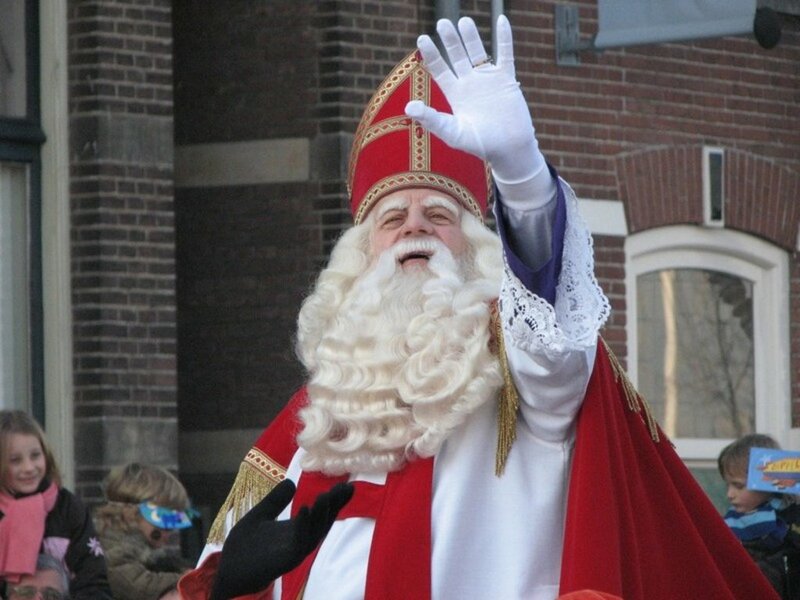 Who knows, while wandering the streets you might even run into Sinterklaas and his men! Find a candy store (or the candy department in a supermarket) and buy as much Sinterklaas candy as you can eat. There are several variations of kruidnoten/pepernoten, but also marzipan, chocolate coins and taai taai are popular candy during this holiday. Do not forget to bring home chocolate letters for your friends and family. In Amsterdam, you will also find a pepernoten store that is ran by the biggest pepernoten factory of the Netherlands. They sell different kinds of pepernoten, like stroopwafel-pepernoten, pepernoten with chocolate or pepernoten with cinnamon. My personal favourite is truffle pepernoten. Discover more about Sinterklaas and the legends on November 28th while taking the Pepernoten Tour at the Biblical Museum in Amsterdam and do not miss the chance to talk Sinterklaas himself. On November 29th, visit the Sinterklaas Market at Cultuurpark Westergasfabriek. Find the best presents for your friends and family and enjoy the festivities. Are you in Amsterdam on December 5th? See if you can join Dutch friends for the celebrations. Are you with family and friends? Why not organise your own Sinterklaas? Spend the day baking your own pepernoten (there are plenty of recipes online!) and exchange gifts and poems in the evening while sipping your hot chocolate and enjoying your homemade pepernoten. Do not forget to sing a Sinterklaas song! Ready to experience Sinterklaas festivities for yourself? Check out our Amsterdam hotel deals to start your trip planning!